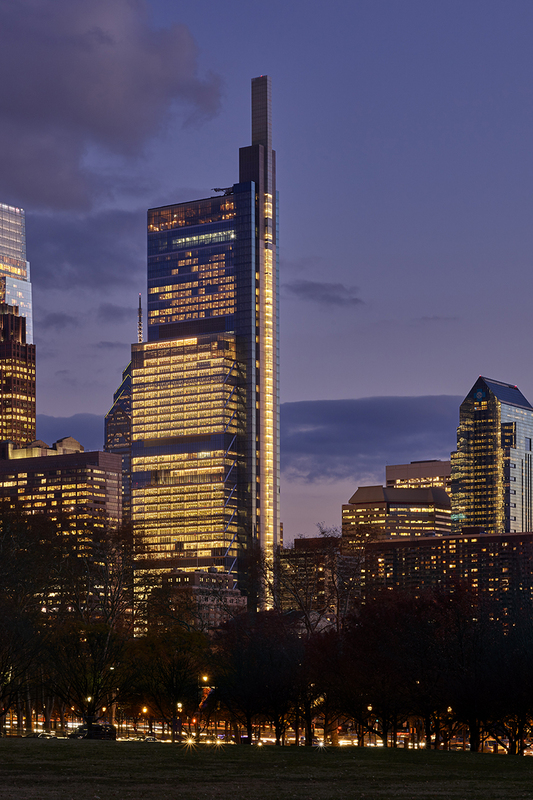 With 59 storeys reaching a height of 1,121 feet, the Comcast Innovation and Technology Center is the eighth-tallest building in the US, and the tallest in Philadelphia. 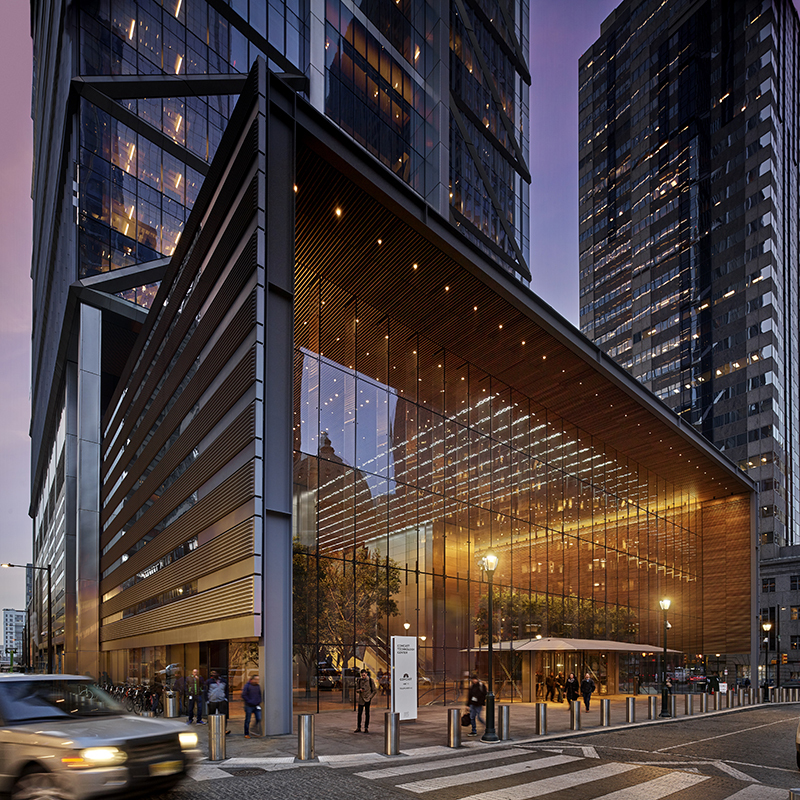 It stands adjacent to the existing Comcast Center headquarters, the largest broadcasting and cable company in the world. The mixed-use building includes a 220-room Four Seasons Hotel, high-tech research and development spaces, loft-like work spaces, retail spaces, and state-of-the-art television studios for NBC located at the base of the building. 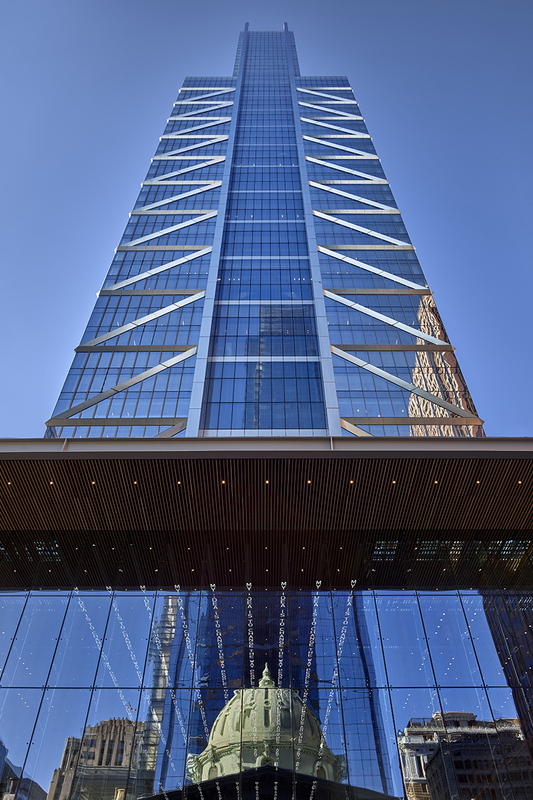 The central spine culminates at the top of the building as illuminated blades of glass extending 38 metres above the tower, creating a striking marker on the skyline. The building’s facades are animated by panoramic glass lifts and a series of 13 three-storey sky gardens that rise through the eastern elevation, infusing a continuous strand of greenery throughout the building. 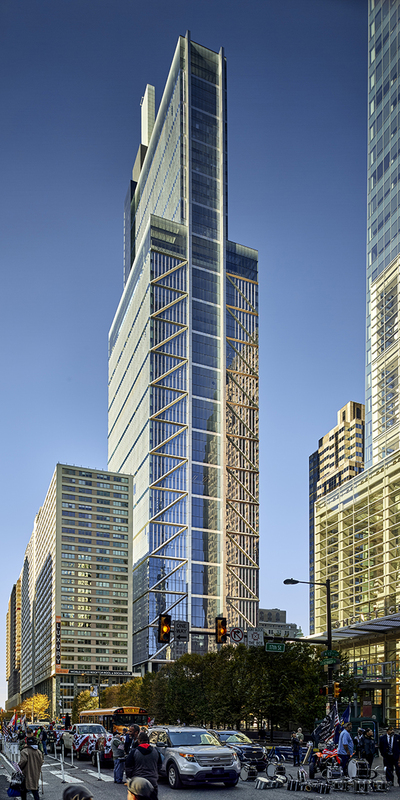 Challenge: The visual appearance of the tower was of high importance for the anchor tenant, requiring a visually flat and distortion-free glass. 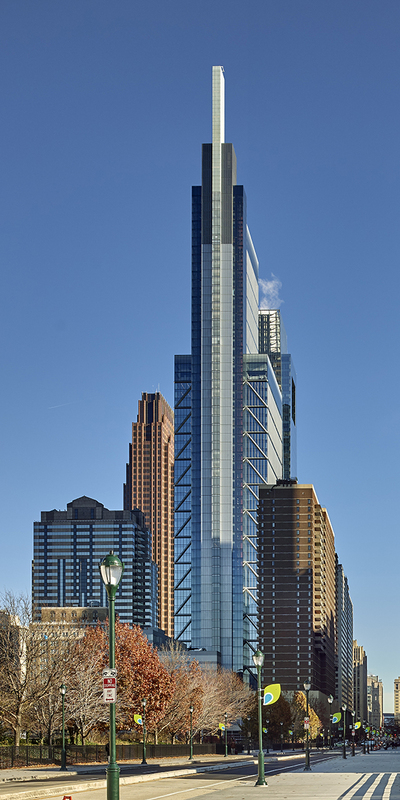 Typical glass design produces distortion in the reflected image, leading to a fragmented appearance of the tower. Solution: The glass makeup of the IGU was improved to allow for increased glass thickness, which was then visually mocked up at full scale in various combinations and installed on site for key stakeholders to review and comment on.